Lee Radziwill, who parlayed her cachet as the younger sister of former first lady Jacqueline Kennedy Onassis into a varied career as a fashion tastemaker, interior decorator, actress, princess and grande dame of cafe society on two continents, died Feb. 15 in New York. She was 85. The death was confirmed by Cornelia Guest, a close friend. No other details were available. 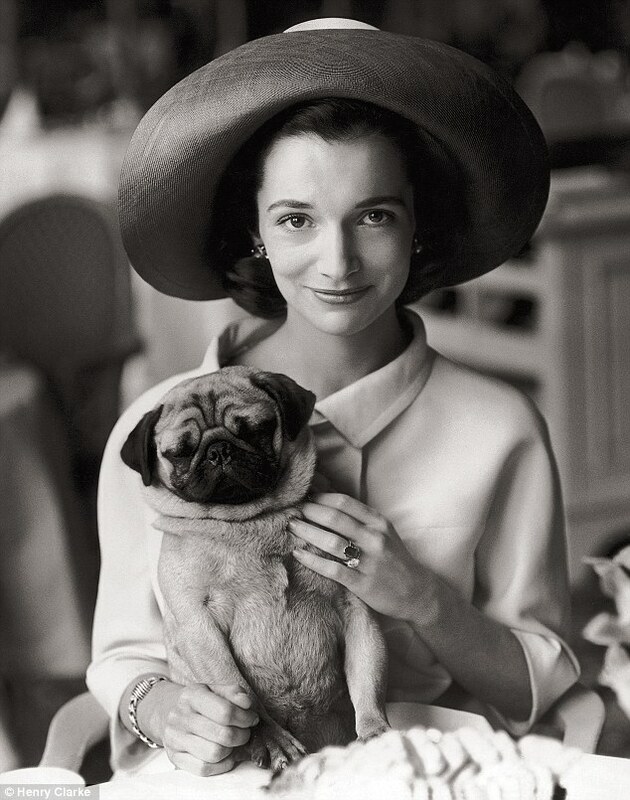 Brought up amid great wealth in the Bouvier and Auchincloss families, Ms. Radziwill was raised with her sister in mansions along the East Coast. She famously floundered as an actress and obtained the empty title of princess only after exchanging vows with an exiled Polish nobleman, her second of three husbands. But her adventurous spirit, sophisticated looks, husky voice and glamorous association with the Kennedy White House put her on magazine covers and on televisions while opening doors to royal palaces, gala soirees, torrid romances and touchstone events of the 1960s and ’70s. Her most enduring influence was as a queen of style. Even before her sister married John F. Kennedy and became first lady in 1961, the fashion press began taking note of Ms. Radziwill’s chic looks that often featured clean lines, oversize sunglasses and free-flowing hair. Vogue magazine credited her with helping U.S. fashion transition from the stodgy elegance of the 1950s to a more relaxed and confident style. Gossip columnists and books, including Diana DuBois’s 1995 unauthorized biography “In Her Sister’s Shadow: An Intimate Biography of Lee Radziwill,” insisted she was forever jealous of her internationally revered sibling. DuBois even said that Greek shipping magnate Aristotle Onassis, who married Jacqueline after her first husband was assassinated, was originally Ms. Radziwill’s conquest until the day in 1963 when she invited her sister along to sail on his yacht. Onassis “was dynamic, irrational, cruel I suppose, but fascinating,” she told the New York Times in 2013. “He also had the most beautiful skin, and smelled wonderful. Naturally, I mean. Fascinating . 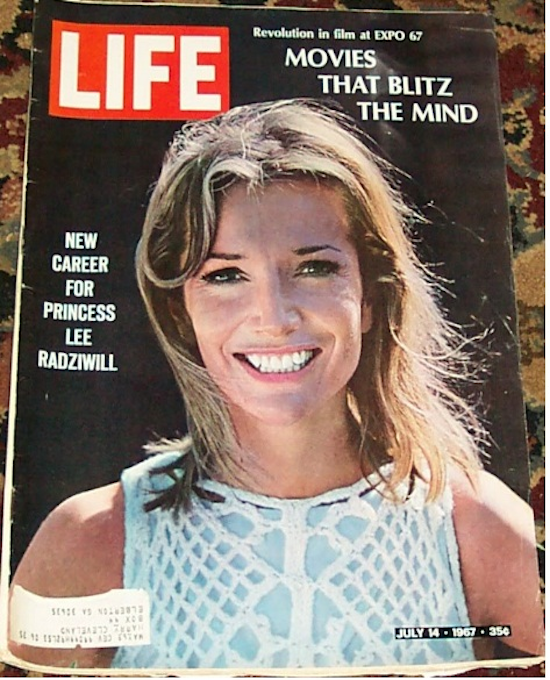 . . as my sister discovered!” Ms. Radziwill always denied a rivalry. 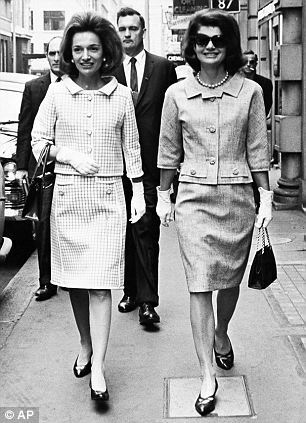 During the Kennedy administration, the two sisters were confidants and traveling companions. They dined at Buckingham Palace and toured India, riding elephants and hobnobbing with Prime Minister Jawaharlal Nehru. Ms. Radziwill spent much of the Cuban missile crisis holed up in the White House with Jacqueline and watching the president exchange tense phone calls with aides. “I can’t deny those few years were glamorous, being on the presidential yacht for the America’s Cup races, the parties with the White House en fête. It was so ravishing,” she told the Times. By the time Kennedy was assassinated in November 1963, she was an A-list socialite in her own right and often called “Princess Radziwill” thanks to her marriage in 1959 to Prince Stanislas Albert “Stash” Radziwill, who had fled Poland after World War II to become a London real estate developer. The next year, Capote adapted the Vera Caspary suspense novel “Laura” for an ABC-TV production with Ms. Radziwill in the title role. But the reviews were even more brutal, calling the actress a pale comparison to Gene Tierney in the first-rate 1944 film version. None of this dimmed Ms. Radziwill’s allure in high society. Her pencil-thin physique, long neck and elongated mouth graced magazine covers and photographs by Richard Avedon. Another friend, Andy Warhol, captured her elegance in an orange silk-screen portrait. Her closest friend was Russian ballet superstar Rudolf Nureyev, and she was romantically linked to other dashing men of the era, including architect Richard Meier and photographer and artist Peter Beard. In 1976, she set up an interior decorating business in New York with a contract to design suites for Americana Hotels. She also worked as an event planner and style counselor to Giorgio Armani and was a fixture on the cocktail party and fashion show circuits of London, Paris and New York. Even into her 80s Ms. Radziwill was making best-dressed lists while her expensively outfitted apartments were featured in architecture and design magazines. Caroline Lee Bouvier was born in New York on March 3, 1933. Her father, John “Black Jack” Bouvier III, was a wealthy stockbroker notorious for his womanizing and heavy drinking. Her mother, Janet Norton Lee, hailed from a prominent Southern family. After divorcing, her mother was married in 1942 to Washington businessman and Standard Oil heir Hugh D. Auchincloss Jr., stepfather of the author Gore Vidal. The Bouvier sisters, raised in large part by governesses, attended the private Miss Porter's School in Farmington, Conn. Unhappy after her parents' divorce, the future princess said she grew so lonely that at age 11 she tried to adopt an orphan. She claimed her parents doted on Jacqueline, who was four years older, a bookworm and a better equestrian, while Lee, who was once thrown from a horse and trampled, was afraid of the animals. “My mother endlessly told me I was too fat, that I wasn’t a patch on my sister,” she told the Times. But like her sister, Lee was considered a classic beauty and named debutante of the year by the Hearst newspaper chain when she “came out” in 1950, the year of her Miss Porter’s graduation. She enrolled at Sarah Lawrence College north of New York City but, professing a strong dislike for academics, left after her sophomore year to study art in Italy. She and Jacqueline spent the summer of 1951 touring Europe, a trip that they turned into a book with illustrations by her older sister called, “One Special Summer,” which was published in 1974. Lee wrote a second memoir, in 2001, called “Happy Times,” but her glamorous life was also marred by failed relationships and personal tragedy. Her first marriage, to Michael Canfield, son of the eminent book publishing executive Cass Canfield, collapsed, in part, because of his heavy drinking and her burgeoning relationship with Stanislas Radziwill; they wed in 1959 and divorced in 1974. Her planned wedding to San Francisco hotelier and bon vivant Newton Cope was called off at the last minute, reportedly over differences involving a prenuptial agreement. In 1988, she married film director and choreographer Herbert Ross, later telling the Times, “He was certainly different from anybody else I’d been involved with, and the film world sounded exciting. Well, it wasn’t.” And she said he was obsessed with the design tastes of his late wife, ballerina Nora Kaye. Ms. Radziwill and Ross divorced in 2001, shortly before his death. She had two children with Prince Radziwill. Their son, Emmy Award-winning TV news producer Anthony Radziwill, died of a rare form of cancer in 1999 just weeks after her nephew, John F. Kennedy Jr., with whom she was close, died in a plane crash. Survivors include a daughter, Anna Christina “Tina” Radziwill. Information on other survivors was not immediately available. Forever linked to the former first lady, Ms. Radziwill once told People that she had forged her own identity.